The co-founder of one of the world's iconic companies is a reluctant billionaire who wanted to be an engineer first and a boss last. The man in question is Steve Wozniak, the designer of the first Apple computer and its successor in his spare time. He learned basic electronics from his father and knew by the time he was at high school that he wanted to be an engineer for life. "I read books about a young engineer who owned a company with his father. Whenever there was a catastrophe in the world, he went into the lab and worked sometimes for two weeks silently. When he would come out of the door he had a device that solved the problem. "That's when I said: 'Wow, engineering lets you build things that solve problems'." Those early experiences inflamed a passion and led the young Woz, as he prefers to be known, to read as much as he could about engineering. "You become what you want to be in life. I wanted to be an engineer. I didn't want to run a company." Woz had little money so to keep up he crept into buildings housing the Stanford Linear Accelerator to rifle through computers books and magazines in the library. That lack of money, he told BBC News, was a spur to innovate - it should never be used as an excuse to not give things a go. "What's important is not having very much money," he said, convinced that it was a good discipline to have to think within restraints. "Lack of resources forces you to do a lot more original thinking." 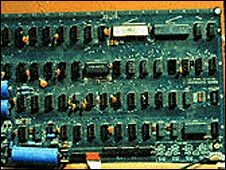 From early on, Woz had one aim; to understand the design of computers so he could build his own. "We had a club (Homebrew) that spoke of how someday everybody was going to have their own personal computer and have control over their own lives," he said. "We'd make the guy that could program more important than the CEO of a company and that inspired me. "It made me feel like we little guys are coming up against the big owners of the world and we have a position in the world. I said I want to take my technical talents and design a computer and help other people build them. "It was about wanting to change the world and make it a better world and we were the first people," he said. "We were the revolution." 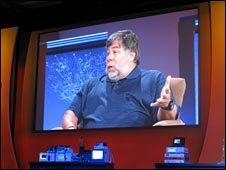 Woz's creations helped to spawn a billion-dollar company that has influenced the computer industry beyond his wildest dreams. A lot of that he puts down to the talents of his then best friend Steve Jobs. To the outside world, they may have seemed a mismatched pair: the shy engineer and the worldly-wise salesman. "We weren't that dissimilar when we first met. He was more future thinking and thinking at a higher level of being one of those important people in the world. He even thought about starting a company that could become some real ongoing company." "We would make some money and the next thing I designed, he would say: 'Lets sell it!' and so it went on." 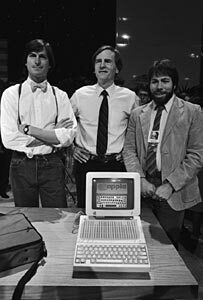 Woz was reluctant to go into business with Steve, or anyone else, because he had a "dream job" working as a designer for Hewlett Packard. "I was never going to leave HP. That's where I wanted to be forever," he said. "Steve Jobs got all my friends and relatives to call me. One friend convinced me you can be an engineer for life and take the money." Woz became Apple's employee number one and admitted that he sometimes used that rank to get discounts at Apple stores. He has never asked for free products and even stands in line like everyone else when new products such as the iPhone 3G appear. Woz's second passion is for education. Years after leaving college, a life-altering event persuaded him to return to the classroom. "I had a plane crash and I had amnesia and I called Steve Jobs and said: 'I am going back to do my degree'. Why put it off? "You don't get two chances to do things in life and I wanted my kids to see I had a degree and encourage them. "I got my degree under a fake name, Rocky Raccoon Clark." As well as teaching his children the importance of education, Woz also decided it was time to stand up and be counted. "I grew up with a passion. I loved my teachers and I wanted to give back by being a teacher and helping others. "There is something in me that wants to be perceived as a person who cares about youngsters. As a person who wants them to learn. I really think their brains are the future that is going to get us out of the troubles we have today." Following that urge led him to become a volunteer teacher helping kids to become familiar with computers. Woz said his own single-mindedness had been key to his happiness and he said he would encourage others to stay true to their passion. "Don't let people side-track you. If it's in your heart, follow it. Whatever your passion in life stay true to it." 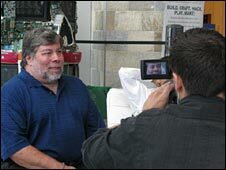 As a true engineer, Woz said he was a "gadget guy" and that there were several pieces of technology without which he simply would not be able to live. "There are some tough choices which we don't ever want to make but it's between my personal computer and my hybrid car. Oh, but I also love my cellphones. All of them." He said he also loved his Segway on which he zipped around Silicon Valley and played polo. 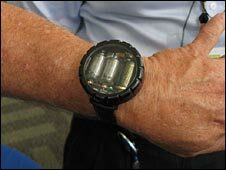 Despite his success Woz said the one gadget he wished he had invented was his watch, which is made of old parts and lights up when he tilts his wrist. "It's a geeky watch and I would have loved to have invented that. I would feel real good about it."